No matter what kind of business you work in, having passionate employees who love what they do is essential for achieving your goals. Kobe Jones is all about taking typical Japanese flavours and ingredients, mixing them with typical Western flavours and recipes, and then letting Australians indulge in incredible creations. Our wonderful staff have helped us to provide this quality Japanese food over five restaurants throughout both Melbourne and Sydney. Ben Rotella, former Executive Chef at Kobe Jones Melbourne, and current General Manager of Melbourne’s Kobe Jones restaurant, talks about what he brings to his role (and subsequently, the table) everyday. Ben Rotella had always wanted to be a chef while growing up. As a kid, he was exposed to a variety of different cuisines, which stoked and cultivated his passion for food. He became a chef apprentice in 1997 at the MCG, and then worked in different hotels and function venues across Melbourne. After that, he was employed by Kobe Jones — where he worked his way up from Sous Chef to Executive Chef, a role he successfully held for seven years. Ben’s opportunity to take the reins as General Manager came when we decided to open our contemporary venue in Melbourne. Located on the sophisticated riverside WTC Wharf on the Yarra, the Californian-style restaurant is accessible by road, foot or water. When the restaurant was ready to open its doors, Ben was asked to take over as manager. Ben’s involvement and passion in those seven years as Executive Chef taught him a lot. According to him, some of the most rewarding aspects were the simple things — like when after a long and exhausting day, a satisfied customer will walk over, shake his hand and tell him how delicious the meal was. One of the reasons Ben loves being a chef (other than his passion for food), is how different one day can be from the other. There’s always something to be prepared or organised. Kitchens can get pretty crazy when it comes dinnertime, and being on your feet running around can certainly make the time pass quite quickly. Now, as a General Manager, his days look kind of the same, but with other responsibilities on top of the food added in. Another aspect of the role that made Ben successful in the kitchen was innovation. His vision for Kobe Jones and what it stands for is clear: he wants customers to try new things and leave satisfied, but with the sensation of wanting more. That constant drive to change things up a bit is key to staying cutting-edge and relevant. However, when it comes to Japanese cooking it can be a bit more challenging. As Ben explains, Japanese chefs don’t use a lot of herbs and spices in their traditional cooking. So as Executive Chef, Ben faced the challenge of incorporating Western cooking techniques while also staying true to the Japanese essence of the dish. Another aspect that comes hand-in-hand with innovation is inspiration. For Ben, the best way to stay inspired is to read and stay informed about new cooking trends; methods, flavours and ingredients on the rise; and eating out (not just Japanese cuisine). He also stays on top of finding new trends in service and presentation by conversing with colleagues, and even visits Japan when he can, in order to keep his recipes as authentic as possible. As he explains, cooking is all about the dynamic journey of exploring and creating new flavours and techniques… “nothing is off limits”. When it comes to quality, Ben also has a limitless policy. He explains that for him, the road to quality has no end. In this scenario, innovation and high standards are more important than ever. He’s focused on looking at what Kobe Jones does honestly and is open to revisiting and reinventing what has already been done. And the best way to try these new creations? Staff meals, of course. Even chefs have preferences when it comes to their own creations. For Ben, the most ‘eyebrow raising’ dish is Kobe Jones’ Tsu Tsu miyaki — a dish cooked in a foil bag, normally with seafood inside, that comes to the table on a hot rock, looking like it’s ready to pop. 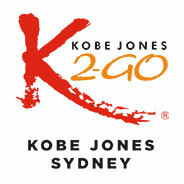 Kobe Jones makes the most out of Japanese traditional cooking and Western flavours. The result? An incredible mix that’s bound to tantalise your tastebuds. But the biggest part of our success comes down to our passionate, innovative and knowledgeable team members. 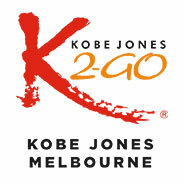 Come and visit Kobe Jones Melbourne to see Ben in action!